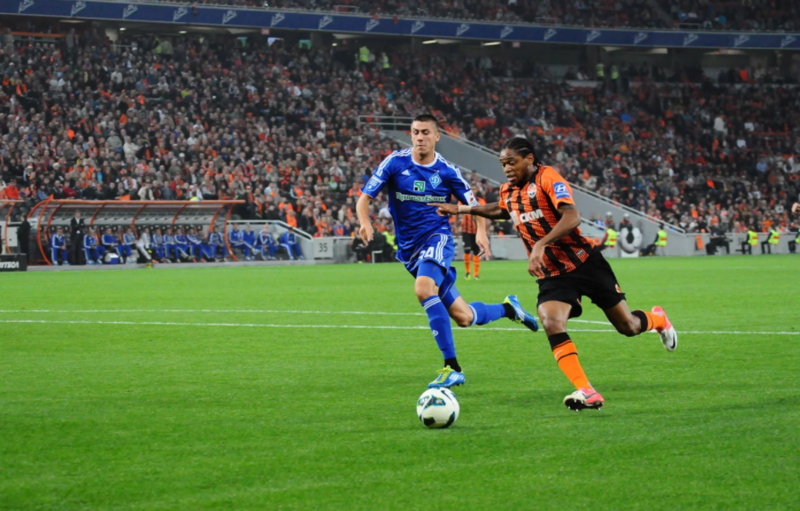 Shakhtar – Dynamo. The Kyiv football club has the moment to fight for the champion’s title. The online broadcasting of Shakhtar – Dynamo game starts on 112.ua at 16:30 Kyiv time, one can watch the match on Football 1 TV channel. Today’s game is paradoxical as Shakhtar and Dynamo look like teams of different weight categories. Hirnyk wins Manchester City and beats Roma for the quarterfinals of the Champions League, while the Kievans are slowly moving towards the Europe League. Besides, Kievans have benefits concerning the inner superiority – a victory and a stand-off. Moreover, Dynamo did not miss the Donetsk attack in both Premier League games. Both of the results were prepared properly. Being relegated from the eurocups, Shakhtar does not have to save energy for the championship to take the last victorious leap. If Hirnyk wins today, they will officially become the champions. But Khatskevich’s Dynamo knows how to develop tactics playing with Hirnyk and beating with Shakhtar. “This is an important game against the main opponent and it will be quite hard for us. But we realize that if we win, just one step to the championship remains. But nothing will be decided, we will still have five games ahead. The title’s destiny is not to be decided in this game”.